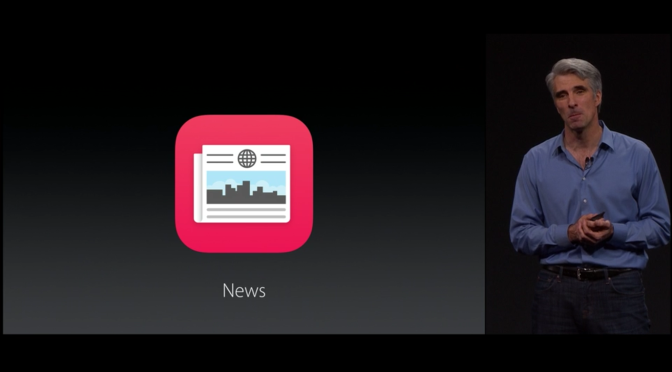 However, News+ is a new and different experience apart from the rest of the News app. I guess this is necessary, since News+ requires a subscription. However, it would benefit the user experience if Apple can find a way to surface magazine content in the main News app interface for those users who do subscribe. For those like myself who are already familiar with the app, this will make subscriptions more likely to stick. For now, all magazine content is sequestered under the new News+ tab. However, once you do open this new section, things do seem rather familiar. The interface is very much the same as the rest of News, with font size adjustment and sharing (which is obviously pretty limited) at the top of the screen. I do like the added Table of Contents at the bottom of the screen, which makes it very easy to move around an issue, They work especially well with magazines that have been optimized for use with News+. You see, several publishers have already adopted using Apple News’ native format, making navigation and the entire experience smoother. 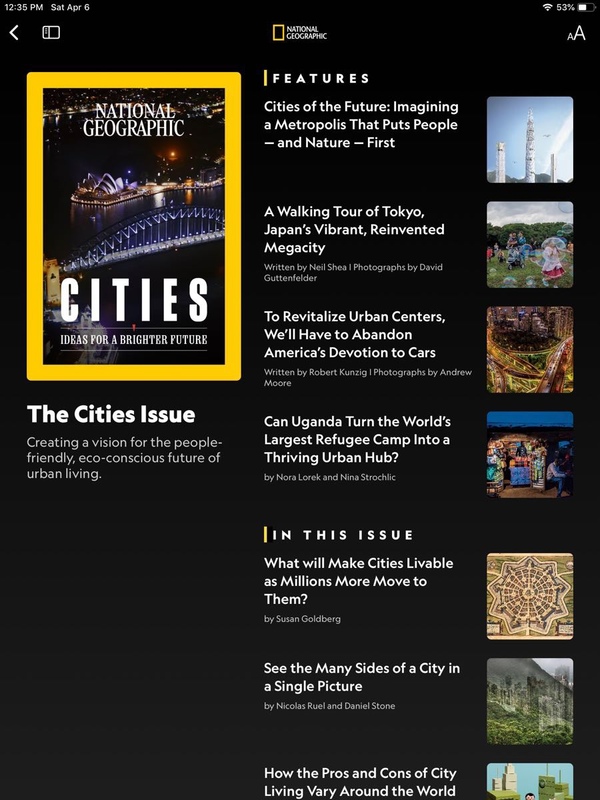 Here you can see this month’s Table of Contents from National Geographic, which makes the issue easy to move around in. What you can’t see is that they have also adopted News+’s new animated cover style, as well. It adds a nice, digitally native touch. However, there is still plenty of fragmentation in the UI and experience. First off, not all publications have a Table of Contents. I realize that News+ subscribers only get a subset of Wall Street Journal articles, but the lack of a Table of Contents or navigation scheme makes the collection seem rather small and disconnected. As for the LA Times, the other newspaper that Apple touted as being a part of News+ on stage, it doesn’t appear in the alphabetical listing with all of the magazines. It also didn’t appear anywhere on the News+ home page for me, like the Wall Street Journal. I had to search to find the articles that were available. I can’t help but wonder if this will change over time, because it certainly doesn’t showcase the service’s non-magazine content. If not, I can’t imagine other papers and regional publications jumping at the chance to sign on. Another example of fragmentation is in formatting of the publications. Take the magazine MacFormat, for example. Like a little over half of the around 300 magazines and newspapers in News+, it is still in a simple PDF format. This definitely doesn’t help the user experience, so hopefully more will adopt the Apple News Format that most of the larger publications already have. While Apple can’t control what these publishers do, it would be wise for them to incentivize the adoption of Apple News Format and make it as easy as possible to roll out. 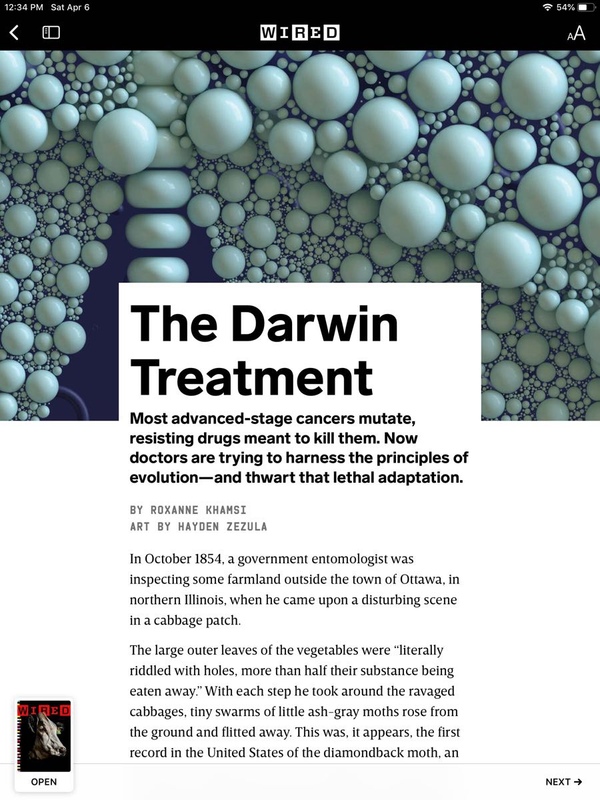 To get a little more background on what is in Apple News+ and which format the various magazines use, you should check out this article from Federico Vitichi of MacStories. It has a list of all the ones available. There is one more questionable issue with News+ that does fall on Apple’s head. They have announced an end date for Texture, which makes sense. However, in deciding not to open up Apple News to be a cross-platform app as Apple Music is, they are leaving all Android and Windows users of that service stranded. Considering that, like Music, News+ started out as a cross-platform service, this seems like a misstep on Apple’s part. It just seems like they are needlessly leaving money on the table here. Despite all the rough edges, I still like having access to all of these magazines in one app for viewing on any Apple device, at any time. The magazine lover in me can see past the early issues and enjoy what’s here for what it is. Also, based the development of recent Apple services, I don’t think they will stand still with News+. Apple News and Apple Music both had far more UI and experience issues in year one, but Apple quickly re-designed and repaired both in year two. Apple also greatly improved the searchability and content surfacing in the App Store a couple of years ago. Apple News+ is off to a far better start than any of the above, so I expect the few rough edges to be ironed out quickly. The real question for Apple users will be if News+ worth an additional $9.99 a month, or $119.88 per year. That is questionable, to be honest. I like the service and will likely stick with it. but if Apple wants wider success with it., then they need to keep improving the user experience and adding content. However, I still think the real key will be for Apple to unify their new services, News+ included, into a single subscription model. If they want mass adoption from the Apple faithful, this is ultimately the way to go. 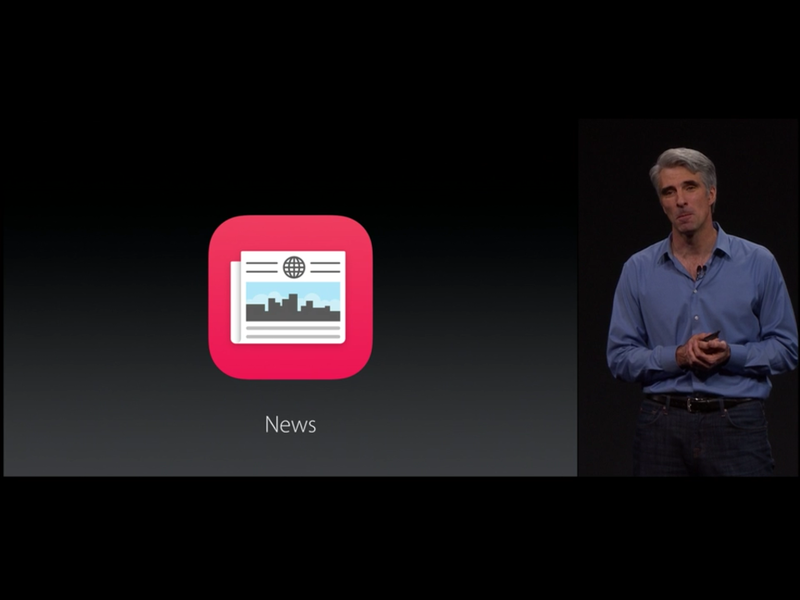 Despite some early shortcomings, I’m going to stick with Apple’s News+ for now and see where it goes. I can’t say for sure if I will still be a subscriber a year from now, but I like what I see and the the service’s potential enough to give it a few months.